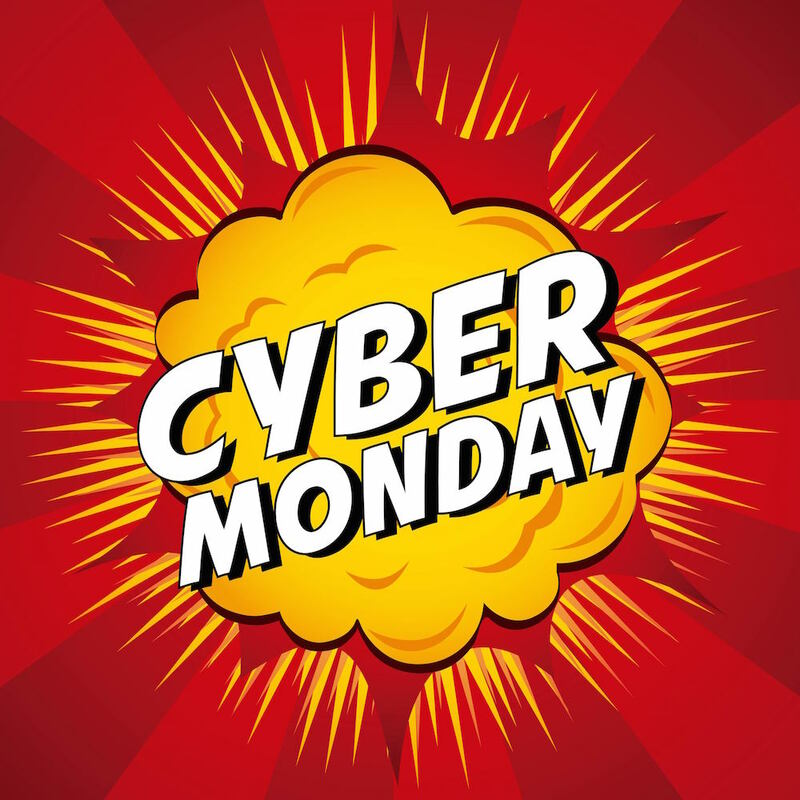 Many people have resisted the temptation to stand in line for four hours on Black Friday in order to save $15 on a toaster, instead looking forward to Cyber Monday to take advantage of the great online deals being offered. I prefer not to spend my Thanksgiving weekend mixed up in a melee battle for shopping dominance, so I love the online alternative of quickly and efficiently shopping from my home. I feel like I’m cheating the system somehow, as the presents come with a supply of boxes that are just the right size for wrapping! Chromebooks are becoming a must-have item for students, providing the basic necessities for schools that are now always online. This particular model comes with a special twist, a hinge that allows you to “flip” it into tablet mode or stand it up to watch videos. The price of the Chromebook Flip has bounced around from a floor of $229 to a high of $299, the latter of which is pretty close to the price you’ll find in most stores. You should be able to find it on CyberMonday for $230-$240. Watch for it on NewEgg and B&H. What’s an Echo Dot? In it’s simplest form, the Dot acts as a wireless speaker to play music, read the news (to you), or listen to audiobooks. Just for that, the normal price of $49.99 is pretty fair, considering I’ve paid that much for a simple Bluetooth speaker before. But that’s not all! The Echo Dot (from Amazon) can do a wide array of other tasks simply by talking to it, via the Alexa Voice Service. You can have Alexa order pizza, call for a ride on Uber, or find directions. You can even connect to other smart devices in your home, controlling the thermostat, lights, or garage door. The Echo Dot has kept a stable price of $49.99 since its recent release, but expect deals on Black Friday or Cyber Monday. I expect to see a good sale on bundles. You can currently get $20 off of a three-pack or get one for free when you order six. Your regular cable box just isn’t enough. In my home we have cable programming, Netflix, Amazon Prime, HBO Go, as well as frequent use of YouTube. Dare I even mention what’s available on the major networks? The TiVo Bolt is the one box that can rule them all. As expected, the TiVo Bolt can record your cable shows for later viewing, but also anything coming in through the antenna or through your streaming services. Instead of having to switch between inputs, the Bolt unifies all of your shows and options into one interface, and it works out of the box with your 4K TV. A year ago these were selling four around $400, with the lowest price of 2015 being $319 on Amazon. You will be able to find it there for around $245. I can hear you saying, “I thought this was about future tech?” Apparently in 2016 we go back to the future of 1985, as Nintendo’s Classic Edition is being released again and all of the millennials just have to have it. I can feel the nostalgia oozing through my computer monitor right now. The slightly updated console comes stock with 30 popular games and is configured to hook up to your new TV, but good luck finding one. This is 2016’s hottest item, and it’s selling out within moments anywhere it is sold. Nintendo has reassured the panicking masses that they will be shipping many more to help fulfill the holiday demand. The NES Nintendo Classic has a low retail price of $59.99, but due to demand the third party market price is $200 and up. Watch for the next release and have your mouse finger ready to click. This morning I received a text message from a relative. Their phone had died, so they texted me from their Apple Watch. You can also check box scores, the weather, and track your fitness level with an Apple Watch. With Apple just releasing the upgraded Series 2 Watch, expect to see great deals on its still-relevant predecessor, the Series 1. With pre-holiday prices in the $269-$300 range, significant price drops are planned for Black Friday and Cyber Monday that can take that below $200. Target will be offering the Series 1 Apple Watch for $198 (the lowest price I could find anywhere). Good virtual reality seemed to be science fiction for a little while, and then suddenly during 2016 it became accessible and relatively inexpensive all at once. There are a few models out there, but the one making waves is the Samsung Gear VR. Using the power of your smartphone, you can play amazing games, watch movies, and interact in a new way with the world around you. There are many apps available for your virtual reality headset. During my brief experiment with one, I explored space, fought a 3D dragon in my living room, and toured the Grand Canyon. The normal price for the Samsung Gear VR is $100. Starting on Black Friday and continuing through Cyber Monday, most of Samsung’s gadgets will be on sale, and you’ll be able to snag a VR headset from them for a measly $69.99.